Do I need an ACU Licence? A small number of riders will have an existing ACU Competition Licence, (which has an annual fee of £52.00). It is not necessary to have this full licence, especially if you are only doing a few events per annum. If you not have a Full ACU Competition licence (which is a bout 99% of riders on the 500 events), then you need to take the option of an entry with an ACU Event / Day Licence which is an additional £15.00. This is one of the ticket options when paying on the system. Yes. The route will be ridden on an adventure bike fitted with Tourance tyres. The off road tracks are the large gravel tracks that pass through the forest. The idea is to give riders an easy to ride, scenic route route some forestry and private land that is otherwise off limits unless it is part of an organised event with the appropriate permits, permissions and insurances. A GPX file of the route will be provide as a back up to the roadbook navigation. It is worth noting that the GPS course will vary from the roadbook course slightly. A number of questions have arisen about bike suitability. KTM 690’s and Husqvarna 701’s are fine, so are older style 600’s that are more trail orientated such as XR/XL600’s which are on the weight limit of 140kgs. The reason for having this restriction is to make this an adventure bike event. Do I need to bring fuel to refill? No. Definitely not, just make sure you have a full tank at the start each day. The route passes commercial fuel stations and you should refuel en-route. Maximum distance between fuel stops is 100 – 120km km (60 – 80 miles). Just make sure you are fully fuelled at the start. For 2019 there are no “Skills Tests”. The event is a 100% navigation. 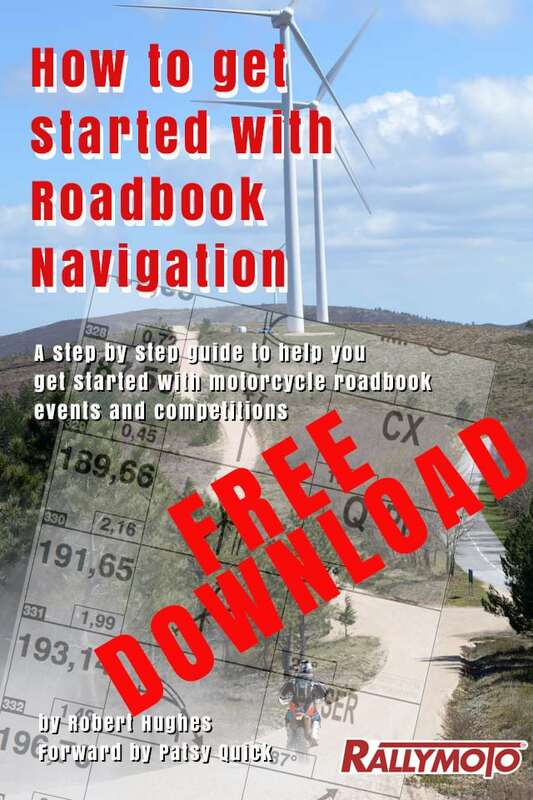 Do I need my own roadbook equipment? No, RallyMoto provide an “adventure roadbook holder” to each rider. This has to returned after the event. See here for more information and fitting. Do I need an accurate trip? Yes, at this adventure level of riding we use an app on a Smart phone which is very good and it attached to the supplied roadbook holder.